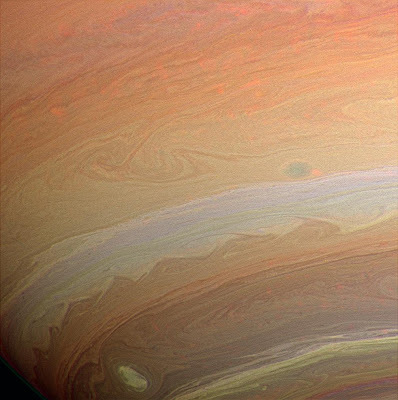 This recently released image of Saturn taken by the Cassini space probe shows details in the cloud layers rarely seen before. The image has been enhanced to show the details of swirling patterns and storms in the clouds layers. Check out the NASA news release for a link to a high resolution version. Pluto tells all . . .